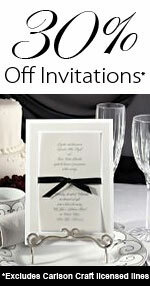 This keepsake is a new design for that special wedding. Is there a more romantic image than candle-lit sailboats on a nighttime harbor, each one glowing with ambience? These charming tealight holders make an impeccable presentation at every place setting, as the tealights within illuminate their frosted glass sails. They work great with springtime, summertime, or nautically themed weddings. A real touch of elegance. Sold in sets of four – tealight candles included. Each sailboat measures 3" x 3.5".